With Quality Hose Fittings - Made in USA! Customer service excellence, the highest quality in hose assembly manufacturing and thorough testing to demonstrate that qualityon everything we fabricate. At FlexFit Hose, we offer the highest quality industrial hose assembly products in Baltimore, Maryland and Globally. All of our custom hose products are built in-house with a level of precision that successfully sets us apart from all competitors. We are able to accommodate small and large quantities, making us the best choice for custom hose products whenever you have the need. We service several manufacturing markets and can provide you with the quantity and efficiency you desire in your custom hose manufacturer. We offer flexible hose assemblies, flexible tubing, and all accompanying hose fitting parts. Our hoses are dependable, versatile, and built to last. We specialize in industrial hose assemblies that can stand up to the highest levels of pressure. These include metal hose assemblies, PTFE Hose Assemblies, Stainless Steel Hose Assemblies, and more. No matter what your processes and automation machines can throw at our hoses, we stand behind our craftsmanship and quality and stand firm that our hoses will last for years. That’s something other hose suppliers can’t claim. We use only quality materials and build all our hoses in-house, which means that are flexible metal hose is designed to work for you without cracking or deteriorating. From our flexible metal tubing to our high-pressure chemical hose assembly, you can trust our hoses, tubing, and hose assemblies to perform at maximum levels for years to come. Do you need corrugated metal hose that will hold up to the strongest of pressure? Do you require industrial hose assemblies with unique fittings that the other guys want to overcharge you for? Or maybe you want PTFE flex hose or stainless oses. No matter what your requirements happen to be, we can give you the products and service you need to remain a loyal customer for life. What Types of Hose Do You Need? 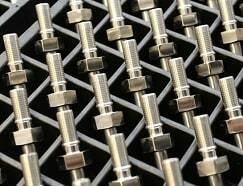 When it comes to custom hose assemblies, we manage to manufacture every part right here in our facilities. We have proven processes that work efficiently to produce quality products that always last, and for much less than the competition. Sure, you can choose other hose assembly suppliers, but only FlexFit Hose will provide you with the level of customization and customer service that you so rightly deserve. From corrugated metal hoses that will always fit with your other assembly pieces and that are built to last to our high-pressure PTFE hoses and metal hose assemblies of all other types, we can handle it all. If yours is a small operation with minimal needs, we can have your hose assembly products shipped out fast. Even if yours is a large organization with heavy industrial hose fitting requirements, we can also accommodate you. We ship our parts quickly, and each one comes with close attention to detail and the manufacturer certification to prove it. There are no jobs we can’t handle and strive to provide you with the ultimate in hose manufacturing. Call us today for PTFE flex hose, flexible sanitary hose, stainless steel hose, stainless steel braided oxygen hose, or hose fittings of any other nature. 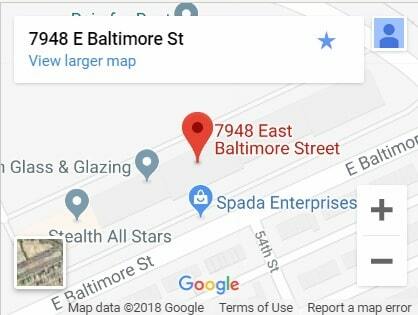 There is a reason we have remained the preferred custom hose suppliers in Baltimore, Maryland, and the surrounding areas. That’s because we’re fast, efficient, we can accommodate any order size, and our quality custom hose fittings are second to none. If a quality custom hose assembly is what you need, FlexFit Hose should always be your first choice. When selecting an industrial custom hose assembly manufacturer, it becomes necessary to check for material suitability. What if the hose fittings fail to hold up to chemical, gas, or granulate? Once you put the hose to use, you’ll experience expensive and time-consuming production downtime that should be avoided at all costs. We guarantee that our PTFE lined hose Assemblies will hold up to the most corrosive of media, and will fit with our Stainless steel hose fittings and chemical hose assemblies. This means you can always trust our custom hose products to perform when you need them to. If PTFE Hose Assemblies aren’t compatible with your media, we have other materials you can select from, such as stainless steel (SS), Monel or Hastelloy. We can help you find the industrial hose parts to meet your exact needs. Call and discuss your tubing needs with one of our custom manufacturing representatives. We can get started fabricating your metal tubing and assembly parts the moment after we provide you with a fast, accurate, and free quote. When searching for a hose assembly manufacturer, you should only work with organizations that use quality materials and possess a proven track record for producing hoses, hose protectors, metal braided hoses, and other assemblies with the greatest precision. That is exactly what you’ll find when you work with FlexFit Hose in Baltimore. Founded in 2009 within the Hub Zone of Baltimore, we saw a need for industrial hose assemblies for process and automation. When you select us for your hose supplier needs, we offer you our quality service promise, which is to provide you with the very best of customer service. We also strive to provide you with the highest quality hose assemblies. We are confident in our stainless-steel hose, steam hose, and all other metal hose assemblies because we engage in constant product testing on every product we fabricate, providing you with peace of mind that your stainless steel hose fittings are always in the best of hands. One of our specialties is custom PTFE hose assembly products with stainless steel nut and ferrule fittings, oxygen cleaned hose and sanitary Hose Assembly , and many others. These high-grade sanitary fittings, stainless braided hose fittings, and stainless-steel braided hose assemblies are manufactured in-house on fully-automated CNC Swiss machines. 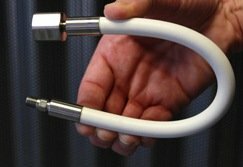 When you pair our PTFE lined hose fittings with our braided stainless steel (SS) reinforcement, you’ll find our custom hoses to be extremely flexible and versatile. We offer B-Flex hosing and C-Flex PTFE hoses for low-pressure and high-pressure alike, and at a wide range of temperatures. Our hose materials are easy to drain and can manage the harshest of chemical fluids, gases, and granulates. In fact, our custom hose assembly products are chemically resistant, have a non-aging surface, and result in a durable and long-lasting chemical hose solution. No matter what type of manufacturing process and control your industrial organization maintains, we strongly recommend choosing FlexFit Hose for all your custom hose fitting and Hose Assembly needs. We accommodate small or large quantities, according to your unique requirements. We are an ISO 9001:2015 certified company. As premium industrial hose suppliers, we validate and test every product we manufacture and assemble. Our stainless-steel flexible hose assemblies will be delivered cleaned, labeled, and bagged for your convenience. As far as our custom hose assemblies are concerned, we provide a faster response and delivery due to our commitment to providing superior customer service. From our custom hose assemblies and braided hoses, we can find solutions according to your unique requirements. We can provide you with the small or large scale orders and can even stock your custom inventory in order to satisfy your custom hose assembly needs anytime it’s required. All you have to do is select us as your supplier for your custom hose assemblies and we’ll ship your order within one to two business days with proper certifications. If you desire superior industrial hose assemblies and the best customer service in the industry, we can help. It’s unfortunate that the custom hose industry is filled with poor quality and with little to no attention paid to customer service. That’s why we started FlexFit Hose in Baltimore, MD. 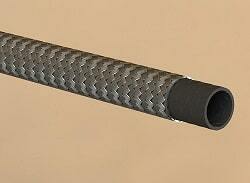 We saw a need for a new standard in custom hose assembly manufacturing. We fabricate our industrial hose assemblies according to the highest standards in the industry and remain committed to providing you with the most memorable customer service experience. Our industrial hose assemblies are heavily used in the process and automation, which include industries such as pharmaceuticals, chemical, food and beverage manufacturing, semiconductor, and many others. Our clients within these industries use our steel braided hose, braided hoses and fittings, chemical hose assemblies and other custom hoses because they can trust our hoses and equipment to function precisely for numerous cycles. This is important when frequent failures or stoppages for MRO can cause damage to your bottom line. With our custom braided hose assemblies, you can be rest assured that your equipment will always hold up when needed. If you have ever purchased custom hose assemblies and found them to be of poor quality, you should know that the bar has been raised. FlexFit Hose can provide you with our in-house manufactured hose assembly fittings that will always provide the best fit while preventing leaks and cracks. Contact us to learn more. Every industrial chemical resistant hose assembly that we manufacture undergoes a stringent quality assurance process. This includes the proper cleaning, testing, and packaging of our custom hose assemblies before they are delivered to you. We test 100% of our hose assemblies, not just small sample sizes like other hose manufacturers. You will find us to be the more cost-effective choice for all your hose assembly products. This means you can rely on FlexFit Hose for greater customer service, higher value, and custom hoses that will always fit and perform as necessary. 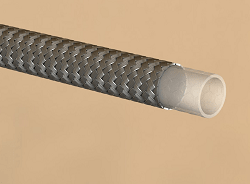 In fact, as a PTFE Hose supplier, we guarantee that our custom hose assemblies will always provide you with the highest levels of performance with longer life cycles than other rubber and thermoplastic constructed alternatives. Whether you require braided hose assembly, hose fittings, chemical hose assemblies, or corrugated metal hose assemblies, we can provide you with a quick and dependable quote. We remain 100% transparent and can explain every aspect of our quotes in full detail. Once you give us the green light, we will provide you with prompt delivery times for your first and each subsequent order. In most cases, you will receive your custom hose Assemblies within one or two business days, even for unusually large orders with an additional expedite fee. If your order requires outside help, we have an extensive network of contract manufacturers and suppliers to draw from, allowing us to always accommodate you. 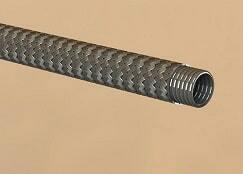 We also offer corrugated metal hose assemblies and custom hose fittings in bulk. This includes all hoses, hose fittings, crimp collars, and inverted flare fittings for bent tubes. When you select FlexFit Hose for all your custom hose assembly needs, the first thing you will become aware of is our level of expertise and dedication to quality. We also take customer service extremely seriously. This causes us to stand out in our industry and allows us to provide you with everything you need to satisfy your custom hose assembly requirements. To experience the FlexFit Hose difference, email sales@flexfithose.com or call 410-327-0758. Our representatives are standing by to answer your questions, alleviate your concerns, and provide you with a fast and accurate quote for all of your industrial custom hose assembly orders. Superior Industrial Hose Assemblies and The Best Customer Service! In a field sometimes plagued by poor quality and little to no customer service, FlexFit Hose is setting a new standard. We fabricate our industrial hose assemblies according to the most stringent standards in the industry and we are committed to customer service excellence. Our industrial hose assemblies are used within process and automation industries such as pharmaceutical, chemical, food & beverage manufacturing, semiconductor and other markets as well. These industrial hoses and fittings connect up to equipment that must function precisely for numerous cycles. Regular failure of these systems, or stopping them too often for MRO means unwanted damage to your bottom line. Many manufacturers have purchased industrial hose assemblies only to find that they were of poor quality and unreliable. 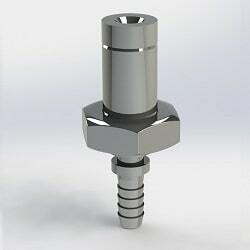 At times, simply making the right connections with the assembly can be difficult due to improper fittings or leak-prone adapters; attempts to consult the manufacturer brings little help. Every industrial hose product manufactured by FlexFit Hose undergoes our quality assurance process that includes proper cleaning, testing and packaging. We test 100% of the assemblies we fabricate, and not just a sample of the full quantity. All FlexFit Hose’s assemblies, fabricated in house, are shipped with proper certifications and test reports. Our assemblies provide exceptional performance and have longer lifecycles than many rubber or thermoplastic constructed alternatives. You will discover a more cost-effective choice over any other hose assembly when properly fitted, longer-lasting industrial hose is used in your process. You will experience fast and dependable responses to quotes, as well as prompt delivery times with FlexFit Hose; from your first order and continuing with each new one. Lead-time for our standard products usually takes 1-2 business days. 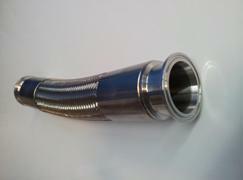 FlexFit Hose can accommodate custom made industrial hose & fittings, according to your requirements. If it is something requiring an outside source, we can help you through our network of contract manufacturers & suppliers. FlexFit Hose offers components in bulk as well, including: hose, hose fittings, crimp collars and inverted flare fittings for bent tubing. Our combination of expertise and dedication to quality, as well as customer service excellence allows us to lead where it counts in our industry. If you are not receiving exceptional products with first-rate service, then contact FlexFit Hose and let us demonstrate the difference. Email: sales@flexfithose.com or call 410-327-0758 today.